Generation Smart - Are We? Home › Community › Generation Smart – Are We? For a world that shows unity through social media emblems such as hashtags and Facebook profile pics, we sure are a strangely disunited lot. We choose to argue over religion, race, creed, politics, behaviour, lifestyles and even the cup that we want to drink our coffee in. We attempt to maintain ourselves as a politically correct race which does not label Chinese as Chinky-eyed, South Africans as Blacks and Westerners as Whites; one which invents terms such as Islamists and War-on-Terror as opposed to a war-against-Islam so as not to upset those who follow the Muslim religion. We have invented terms such as Special People and Gifted Children because we never want to offend anyone. We uphold the right for freedom of expression yet find it hard to agree on the line between creativity and offense: between the free speaking and the provocative. 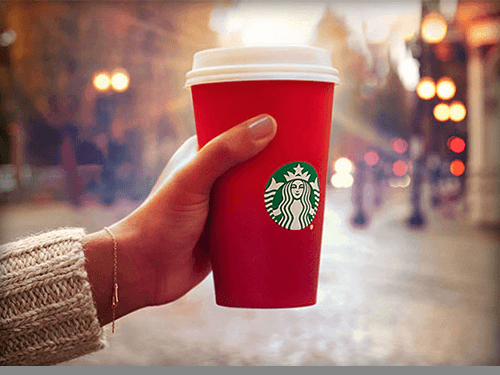 Starbucks’s simple Ombre Christmas Cup for 2015 sparked controversy on social media. Fans were not really happy to see an all clear cup design with no Christmas themed graphics. We feel we have become universal citizens, but only until a calamity strikes our home or place of birth. At which point we then pull over ourselves our nationalistic cloaks as our hearts ache and pray for a better future for our children. We toil to master several different languages in an attempt to understand the new culture and land we inhabit, and sometimes, as our children struggle with Spanish, French and German verbs, we leave the language of our birthplace; our home countries, behind. We post ‘Happy Holidays’ as our Facebook status instead of ‘Merry Christmas’ and we cringe if our child’s International School dares to ask students to dress up in Halloween costumes on October 31st, let alone carve a pumpkin! We have no inhibitions in baring our thoughts and souls to the world; to strangers we might only have met in the cyberworld, over a daily flood of posts, tweets and images. Yet we are unaware of who our neighbours are; yes, the couple living next door to us. We wait for an invitation to be called over, though we barely ever ring the doorbell by ourselves to ask if they can come over for a cup of tea. We travel across continents in a day-and-a-half and, although landscapes change through the aircraft window, though the people at the airports speak a language foreign to us, we take heart in spotting a familiar Starbucks or Nando’s signboard because we relate to everything that falls within our comfort zone or everything we have prior experience of. In a strange way, while we embrace change, we are also too scared to experience it … or too comfortable to venture into it. Despite our global conditioning as citizens of the 21st century, we are essentially a race within a race, compartmentalized by our own boundaries. We are happy to place that solidarity post on our Facebook walls, always ready to add a trending hashtag to our social media feeds, because that way, atleast we can show our concern when we feel helpless to do more … yes, we are conditioned to show remorse, guilt, happiness. joy and even anger, in predefined and accepted ways. We are friends with everyone. We don’t believe in confrontations. We are a civilised, diplomatic generation. We believe in peaceful co-existence with all our acquaintances and though we are all friends, we have an ‘inner circle’ we will never admit everyone in to. Even though our ‘outer circle’ expands beyond a limit we ourselves cannot fathom … because after all, we are all friends; unless of course, we are friends on Facebook alone. The word ‘friends’ has come to signify many undertones now. However, despite our monumental efforts at political correctness, our endeavours not to offend anyone, to be sensitive, to be friends with the entire world – the world as it stands today has become a scarier place. We worry if our child is not home from school at the designated time; we don’t allow night spends, sometimes, even at a close friend’s home. We sometimes feel the urge to, or do sneak up on, our teenager, to check what he/she is up to in the internet world. We trust no one. Because the world has become a scarier place, much more so in present times than from the time of our parents, when we were growing up … and we can never quite be sure about anyone, or any place, anymore. It was our parents who broke away from the strict disciplinarian upbringing of their forefathers and allowed us to communicate with them. To let us ask why, to question, rather than just obey. We were taught repeatedly that the world is our oyster, and we should make the most of it. Yet, funnily enough, we sometimes struggle to find expression within ourselves. We hire image consultants to tell us who we are and how to present our best front to the world. We contemplate the possibilities of nose jobs, botox-ed laugh lines and flat bellies because after 4 children and 40 years, we somehow cannot come to terms with middle age. We yearn to grow old gracefully, yet labour tirelessly to appear more graceful than our old age. We search for the truth at a mountain-top, a Yoga meet, or a Ted Talk. But is the truth really that hard to find? Are we really the Smart, Enlightened Generation?